The Charles H. Coolidge National Medal of Honor Heritage Center announced today it has added three "nationally prominent" individuals to its boards, effective immediately. This announcement comes as the organization undergoes construction for its new $6 million Heritage Center that will be located in downtown Chattanooga at the Aquarium Plaza. The new board members are: Honorary Board: Medal of Honor recipient Colonel Jack Jacobs, U.S. Army (Retired); Honorary Board: Medal of Honor recipient Sergeant First Class Melvin Morris, U.S.
Army (Retired); and Board of Advisors: Major General Carl R. Horst, U.S. Army (Retired) and President and CEO of the Congressional Medal of Honor Foundation. 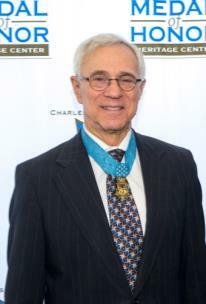 “We are truly honored to have Medal of Honor recipients Jacobs and Morris join our Honorary Board as their acts of valor during the Vietnam War are the embodiment of Courage and Sacrifice,” said Major General Bill Raines, U.S. Army (Retired) and chairman of the Charles H. Coolidge National Medal of Honor Heritage Center. “They're continuing commitment to our community and country serves as a wonderful example to all Americans, particularly our youth. We are extremely grateful that these real-life heroes will join our mission, and we look forward to the guidance they can provide as we move forward with this meaningful project. Major General Horst served in the U.S. Army for more than 40 years and led American soldiers at different command levels around the world. He commanded an airborne infantry battalion and a brigade in the 82nd Airborne Division. As the Deputy Commanding General for Multi-National Division Baghdad, Major General Horst was responsible for more than 56,000 troops engaged in combat. He concluded his Army career as the Chief of Staff for U.S. Central Command, overseeing operations in 20 countries and multiple combat operations in the Middle East. Horst currently serves as the President @ CEO of the Congressional Medal of Honor Foundation in Washington, D.C. Colonel Jacobs served in Vietnam twice, both times as an advisor to Vietnamese infantry battalions, earning three Bronze Stars, two Silver Stars and the Medal of Honor, the nation’s highest combat decoration. 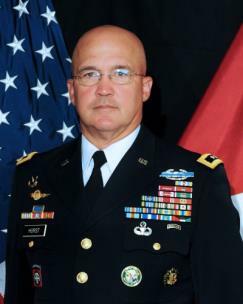 Jacobs continued to serve in the U.S. Army until he retired as a Colonel in 1987. He went on to have a very successful career in business and today he is a principle of The Fitzroy group, a firm that specializes in the development of residential real estate in London and invests both for his own account and in joint ventures with other institutions. Jacobs also serves as a military analyst for NBC News and MSNBC; vice chairman of the Medal of Honor Foundation; a trustee for the National World War II Museum; and co-author of two books. He holds the McDermott Chair of Politics at the U.S. Military Academy and was the keynote speaker for the Heritage Center’s 2018 Celebration of Valor Luncheon. Sergeant First Class Morris, a retired Green Beret, distinguished himself by acts of gallantry and intrepidity above and beyond the call of duty while serving as Commander of the Strike Force in the Republic of Vietnam on September 17, 1969. For his extraordinary heroism on that day, he received the Distinguished Service Cross. Morris continued to serve in various posts in the U.S. Army before retiring at Fort Hood, Texas in May 1985. In 2014, Sergeant First Class Morris was one of 24 recipients of the Distinguished Service Cross (also known as the Valor 24) that received the Congressional Medal of Honor under the Defense Authorization Act. 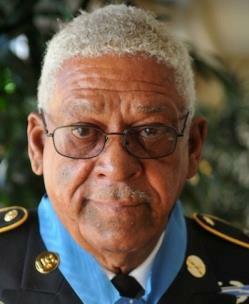 Morris officially received the Medal of Honor from President Barack Obama in a March 18, 2014 ceremony at the White House. He is now actively engaged with the Medal of Honor Foundation’s Character Development Program nationwide. Morris also served as the guest presenter at the local Character Development Program training session held at Girls Preparatory School. "The mission of the Charles H. Coolidge National Medal of Honor Heritage Center is to memorialize the acts of valor demonstrated by the recipients of our highest military award and educate the next generation about the character traits associated with their gallantry, from the First Medal forward. "To recognize Chattanooga as the “Birthplace of the Medal of Honor” and to honor the first recipients of our country’s highest medal of an act of valor, the Heritage Center launched it’s $6 million capital campaign in August 2017 to build a new facility in downtown Chattanooga at the Aquarium Plaza," officials said. Construction of its new facility began in January 2019 with the planned opening date of February 2020. The 19,000-square-foot facility will include a large permanent gallery with immersive, interactive exhibits on Medal of Honor recipients and a dedicated area for exhibits, classrooms, an event rental space and a gift shop. The facility will also serve as the hub for the Congressional Medal of Honor Foundation’s Character Development Program that teaches the six character traits that embody the Medal of Honor and its recipients – Patriotism, Citizenship, Courage, Integrity, Sacrifice, and Commitment.